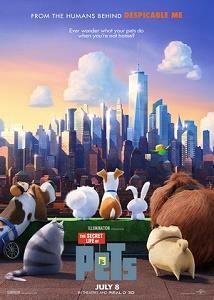 Created from the same animation film production company (Illumination Entertainment) that gave us Despicable Me, Pets is makes us privy to the adorable, mischievous and sprightly (in that order) activities of a bunch of animals whose owners are obviously and blissfully clueless about their shenanigans. Co-directors Chris and Yarrow introduce us to a slew of characters, well rendered and ranking high on the cuteness scale without coming across as saccharine sweet. In fact, it can easily be said that the best part about this fast-paced film is the quality of the animation.